Home » Stories » How a dachshund helped inspire an entirely new fashion brand! 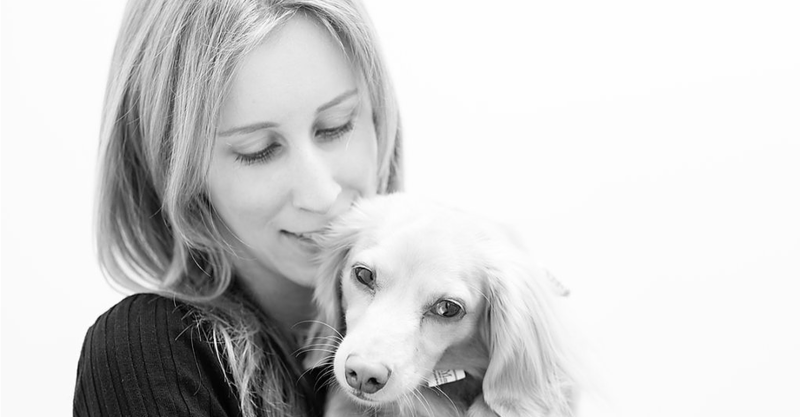 How a dachshund helped inspire an entirely new fashion brand! Dogs around the world are inspiring and empowering women to reach their full potential. 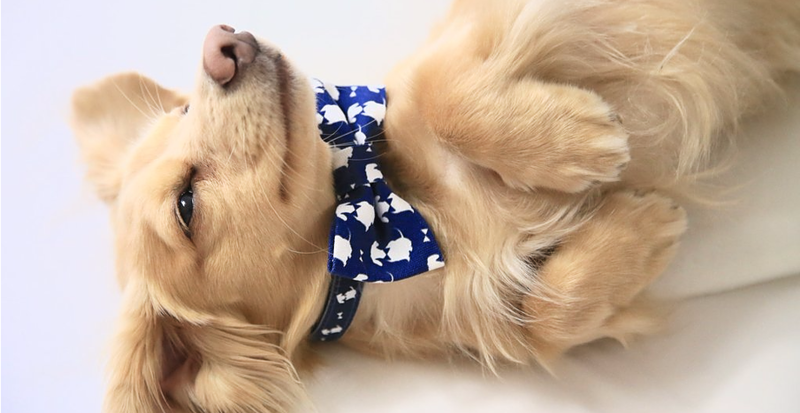 This heartwarming story how Holly Simpson's dachshund Teddy inspired her to become a fashion designer, is another strong example proving that dogs help us discover our true passions and encourage us to reach new heights! Armed with an international business degree from the University of Hong Kong and experience as a corporate communications manager at Fortune 500 Procter & Gamble (P&G) in London, Holly had the skills needed to succeed as a female founder. The passion and inspiration, though, came from raising adorable Teddy! Learning from Teddy's lovable personality and her own struggles trying to fit his uniquely-sized frame, Holly became inspired to design stylish and functional products for puppy mamas around the world. Read more about our pawtners Holly and Teddy, and their experience building Teddy Maximus together in our exclusive interview below! PM: How did you meet Teddy and how has he impacted your day-to-day life? We waited a long time for Teddy – and it was so worth it! We found his wonderful breeder in Devon, a beautiful part of England. We feel very lucky to have been chosen as Teddy’s pawrents. It’s been an incredible journey. Teddy has introduced us to some wonderful new friends across the world. And, he makes people smile when we walk down the street; he is never short of admirers, which is always so lovely to see. A lady once even said that he had made her day after an awful week. Such positive interactions with others are really special. PM: What's life like as a puppy mama in London? We love life here in London! There’s always something to do, something to see, and always too much to eat. We love brunch in West London, play dates in Richmond Park and shopping trips to Liberty. I’m lucky to have relatives by the Coast and the countryside, so we get a good balance when it’s time to take a break from the city. PM: How has Teddy helped you build Teddy Maximus? Teddy was the inspiration for Teddy Maximus – he’s a 'Dachshund of Distinction', so if it doesn’t pass his paw of approval, then you won’t see it. And, due to Teddy's strong product testing talent, we knew that our latest Pink Liberty Print Slumber Bed was going to be popular when he refused to get out of our sample bed! It’s really soft and cozy! Teddy's also a great model and constantly reminds me why I created the brand – to bring fun, luxury British style to dogs and their owners! PM: Tell us more about your fashion line and the inspiration behind your designs. We are all about fun, luxury British style, with Teddy himself as the inspiration for the brand. Our designs incorporated our own style, and also the practical lessons that I've learned while raising Teddy. I wanted to make functional products that were also unique and special. As a new 'dog mum', I created our Teddy Maximus carriers – literally a life saver when pups aren’t yet fully vaccinated and can't walk on the ground (due to parvovirus), yet. The carrier is also very helpful while traveling on public transport, going into a store/cafe which only allows dogs to be carried, and/or any of the many other experiences I have encountered! British craftsmanship is at the heart of everything we do and we are always striving to raise the bar. It’s about quality and knowing where and how everything is made. For example, our Leathersmith Mo hand makes each leash and collar from start to finish. And, our solid brass fittings come from a foundry in the UK and our leather carrier straps are made in a leatherworks in London. PM: Do you feel happier with Teddy by your side? Do you try to take him with you everywhere you go? Teddy makes everyone smile, including me! He’s so cuddly and his fur is super soft – he’s so much fun to have by my side. Teddy comes most places with me – often in his carrier! PM: What would make your life easier as a puppy mama? Have you experienced any challenges? The biggest challenge I’ve found with being a dog mum is public transport – it’s hard to find cab/taxi drivers who accept dogs – but those who do, are usually wonderful! Drivers are often pleasantly surprised when we turn up with a nice compact dog carrier! We are super excited for the Puppy Mama App's dog-friendly rating review engine! Being able to walk into cafes, hotels, etc hassle-free is wonderful and having a place to champion this is great! We are huge fans of Paws for Coffee, a wonderful dog-friendly café near Bushy Park – we feel so at home there. Even the tables have been specially adapted for dog leashes. PM: Do you have any funny stories about Teddy? Teddy likes to dance. When he lies on his back you can make him move his paws on command – it’s so cute! Teddy also loves to show off in front of female Chihuahuas – he’s 'defo' got a thing for them. He’ll flick his tail up and dart around like a peacock doing a mating dance! PM: In what ways do you think pups like Teddy have changed society and your own worldview? Teddy was our first dog – seeing the world through the eyes of a new pup was certainly a unique experience! So much to explore, with each day being just as exciting, if not more, than the last! We can learn a lot from this. If people loved each other like dogs love their owners, the world would be a better place! We can learn a lot from them! PM: Would you recommend that other women leaders become puppy mamas, as well? Giving a home to a dog is a huge decision and one which should never be taken lightly. Dogs need a lot of love and attention and preparing for how you can give this (even when you are in a meeting) is so important. If you have thought all these things through and more, then most definitely! And, I’d encourage all business leaders/founders/directors to consider being a dog-friendly workplace – there are so many benefits, both physical and mental. PM: What’s in store for you and Teddy Maximus in the near future? We continue to champion British craftsmanship and look forward to bringing new and exciting accessories which are designed for beauty and functionality. Without a doubt, our pups inspire us, help us forge communities (especially in the workplace), and provide us unconditional support and love - a supportive backbone that is vital to many new entrepreneurial ventures. If more of our pups were able to join us in the workplace, pawssibly this could also help chip away at reversing the recent CNBC headline: "Female CEOs are still extremely rare in the US and Europe". Help the cause by writing reviews of hotels, restaurants, workplaces, etc in the Puppy Mama App! Every member's contribution will help us ALL learn where we puppy mamas are welcome. And, as we gather your feedback, reviews, insights and discussions, we will be better equipped to persuade more businesses to adopt dog-friendly policies and encourage governments to ease restrictions regarding pet access.....inching us closer to a more dog-friendly world!